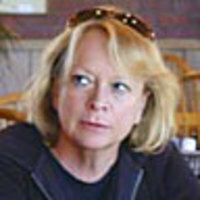 Jane Ciabattari’s reviews, interviews, and cultural reporting have appeared in The New York Times Book Review, Bookforum, The Guardian, NPR.org, The Boston Globe, Salon, The Paris Review, Los Angeles Times, O the Oprah Magazine, The Washington Post, Columbia Journalism Review, and The East Hampton Star, among others. She is vice president/online and former president of the National Book Critics Circle and author of the short-story collection Stealing the Fire. Her recent short stories are online at The Literarian, KGB Bar Lit, Verbsap, Literary Mama, and Lost Magazine, and in Long Island Noir, edited by Kaylie Jones.